Bloomfield Township, MI WW/Press/October 16, 2015 –Robert Anthony Piraino, Attorney, with Robert Piraino & Associates was selected for inclusion in the forthcoming Top Attorneys of North America 2015-16 edition of The Who’s Who Directories. The accomplishments attained by Mr. Robert Anthony Piraino, in the field of Legal Services, warrants inclusion into the Top Attorneys of North America. The legal team at Robert Piraino & Associates offers personalized counsel and representation designed to provide their clients with peace of mind. They boast over 30 years of experience of consistently delivering tailor-made solutions for clients . They offer legal assistance that comes from decades of solving people’s problems. 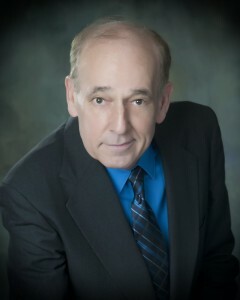 Mr. Piraino handles a wide array of legal fields including business transactions, planning & litigation, Michigan no-fault law, real estate law, commercial litigation, employment law, tax law, estate planning and probate administration, personal injury law, construction law, and insurance law coverage and loss amount disputes, among others. He has been an attorney since 1979 and has been joined in the firm by his son. His secret to success has been his belief in helping people first. Mr. Piraino studied at the Wayne State University Law School and is a member of the Michigan State Bar Association and Florida Bar Association. 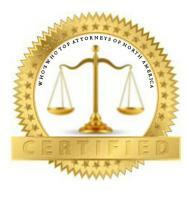 Be the first to comment on "Top Attorney – Robert Anthony Piraino"